Can I pick your wallet? No, but I may let you pick my nose! Sounds like that would hurt! So, you'd buy me lunch in exchange for $200 worth of my time? You obviously don't need my advice. That's a killer business model you have there already! OMG, you are a surgeon, too?! Bummer. 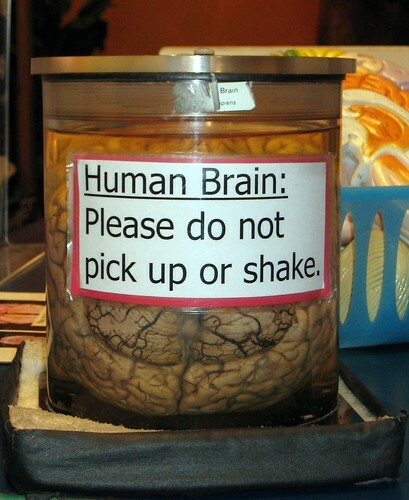 I'm all out of pickable brain today. Yay! You picked my brain! What does it win? Sorry, but I don't exchange my time for sandwiches anymore. The truth is that real clients pay. If you are blogging, writing articles, tweeting and doing all sorts of other things (like have a book on the market), there are oodles of ways for someone to get the basic information they need from the content you've already put out there for free (I have 3 years of archived content here on HPC -- for free!). They are just being lazy...or taking advantage of your time. And getting paid for your time is how you support creating all the free content you produce (or at least, that's how I make my living). And if someone truly thinks your time is valuable, they'll offer you more than a meal to pay for it. There are VERY FEW exceptions to this rule. Unless you are good friends and want to do a favour or think the project is cool and want to give your time for free, refer to the list above. Good luck! BONUS LINK! I ran across this amazing article on the New York Times Blog today: When to Work for Nothing. Great quote: It doesn’t matter if you’re a dog walker, a Web designer or a tax preparer. When you agree to work free, you reinforce people’s misguided ideas that the self-employed are independently wealthy hobbyists. Don’t degrade your profession by letting a cheap client take advantage of you. note: My time is especially precious as I am a single mom who is the sole support for my family. But it shouldn't have taken my realizing I was shirking my Mommy duties to give free time to so many people (and I'm asked the 'brain picking' question dozens of times per week) to come to this conclusion.